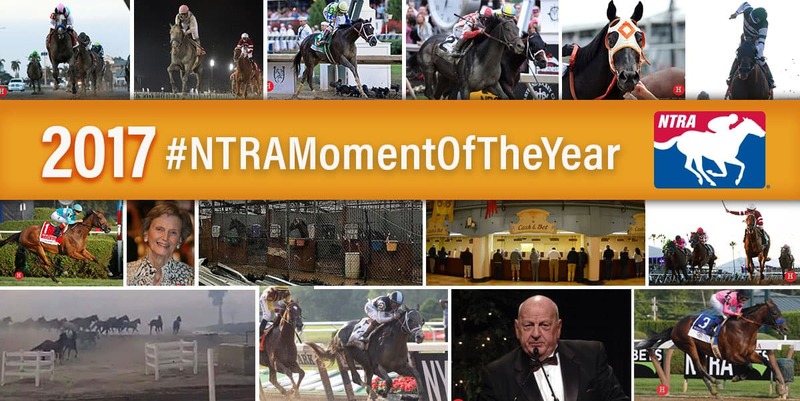 Thirteen of the most memorable, moving, and significant events from the last 12 months of Thoroughbred racing are up for the 2017 NTRA Moment of the Year, a distinction determined by fan voting and recognized at The Eclipse Awards. Voting is now open on the National Thoroughbred Racing Association (NTRA) website, NTRA.com, and via Twitter, where every retweet or use of the official hashtag for the moments as presented on the @NTRA account will be counted as one vote. To vote on the NTRA website, go to http://ntra.kinsta.com/eclipse-awards/2017-moment-of-the-year. The NTRA Moment of the Year will be revealed during the 47th Annual Eclipse Awards, set for January 25 –the Thursday prior to the $16 million Pegasus World Cup Invitational – at Gulfstream Park in Hallandale Beach, Fla.